A magnificent home designed by architect Nico van der Meulen and Associates offering 1250sqm in floor space and plot of 4306sqm in the sought-after Cornwall Hill Estate. Priced at R23.5M, the home comes with expansive double-volume living areas and magnificent finishes, five bedrooms, four garages, an indoor pool and much more. The effect of a slower economy and recent junk status downgrades, have been an increase in properties for sale of almost 50% while at the same time, the number of buyers in the market has decreased by 40%. “We are now in a buyer’s market in the area”, says Steve van Wyk, MD for Seeff Centurion. “Many of the properties on the market are sellers who are downsizing or moving to the Western Cape and due to the excess stock, sellers are now having to drop their prices to get the property sold”. 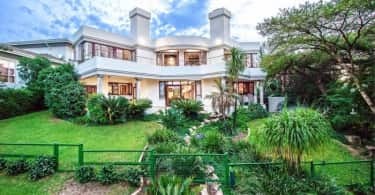 “The properties that are still selling well, are mostly those in the R1m-R2m price bracket and townhouses especially, are particularly popular right now”, he adds. At the same time, buyers need to also be aware that the banks are tightening their lending and it is taking longer to get deals approved. Bigger deposits as now needed given the more conservative outlook in the granting of bonds. Sellers on the other hand need to take note of the drastic increase in competition in the market. “With so many properties to choose from, your property needs to be in excellent shape and priced at the right level. You do not want to put buyers off before they have even arrived at your show house”, he says. 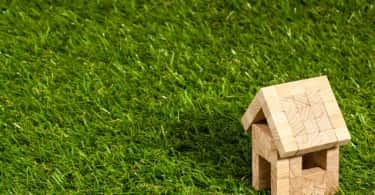 A buyer’s market is typically the flipside of a seller’s market and Van Wyk points out that it means that there is now an oversupply of properties. “Buyers can literally pick and choose from a range of similar properties and are now in a better position to negotiate better prices”. In a buyer’s market, the focus tends to shift to market related pricing and if you are serious about selling, then you would need to set your asking price at the right level to attract buyer interest and offers. This is not the time to test buyer interest and he says, by doing this, you risk an even lower sales price as an end result. “If you want to sell, make sure your property is competitively priced, by comparing your property with what is available in the marketplace. An experienced real estate agent can assist with a CMA (competitive market analysis)”. “The longer it stays on the market, the more difficult it is to sell. Price it correctly from the word go”.